A winner was drawn from all the entries received (and boy there were a lot!) 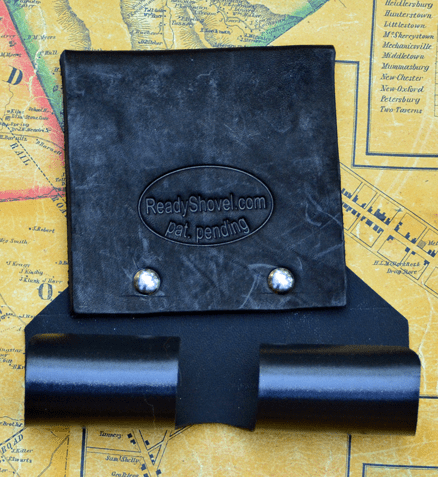 for a chance to win a Ready Shovel, T-handle shovel holder, which was generously donated by Readyshovel.com. The winner is Kevin Stone–Congratulations Kevin! An email has been sent to the email address you provided. Please contact me Kevin at Detectorista@gmail.com with your mailing address so we can get that shipped out to you. A big thanks to all who entered, and to ReadyShovel.com. I have to say Sweet and Thank You for the contest! There are women who dig and I have hunted with a few. They swing coils with the best of them!! I got the Ready Shovel today! !